Since my last blog I have been taking photographs in Iniscarn Forest, near Ballintoy Harbour and in The Netherlands. Iniscarn Forest has a few areas of bluebells, wood anemones, ferns and a host of other small wild flowers which I’m going to try to photograph over the coming months and name using my Collins Complete Guide to British Wild Flowers. With the recent poor weather a forest is always somewhere to go. Digital and film cameras can have difficulty in interpreting the bluebell colour correctly and it helps to have taken the photograph in raw format to allow you to alter the white balance. 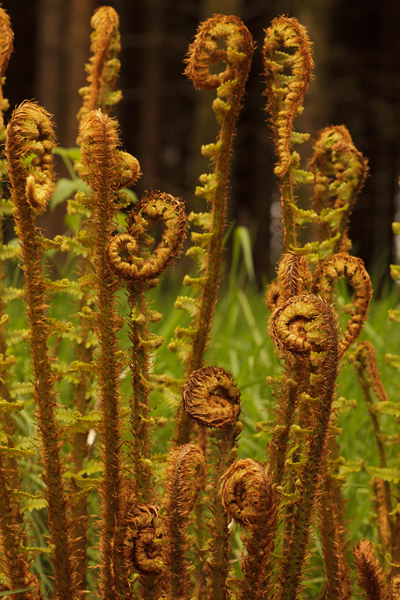 Ferns (Pteridium aquilinum) or bracken are at their best when they are growing with the different shapes they form. On the Bank Holiday at the start of May I took the camera bag up to the North Coast but didn’t think I would take the camera out because of the weather, but a short period of dry weather arrived at about 8pm and I went over to Ballintoy Harbour and walked backed towards White Park Bay. 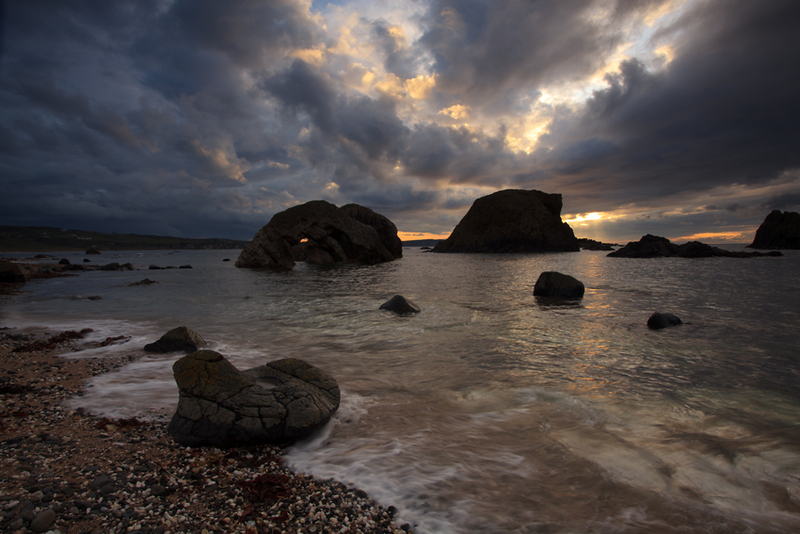 Heavy brooding skies are a favourite of mine and I hope you like the photograph. Last week I was away in The Netherlands on a study tour with the Chartered Institution of Highways and Transportation. We visited the Maasvlakte 2 which is the 40 sq. km extension to the Port of Rotterdam and is 4th largest port in the world. The extension is costing a small matter of €2.9 billion while the other aspect of these works is the upgrade to the A15 road back towards the city of Rotterdam and beyond. One aspect of this roadway is the new lifting bridge at Botenek (meaning simply Bottleneck) which will have two dual carriageway lifting sections to allow ships through. A counterweight is being used to reduce the energy required to lift the sections.